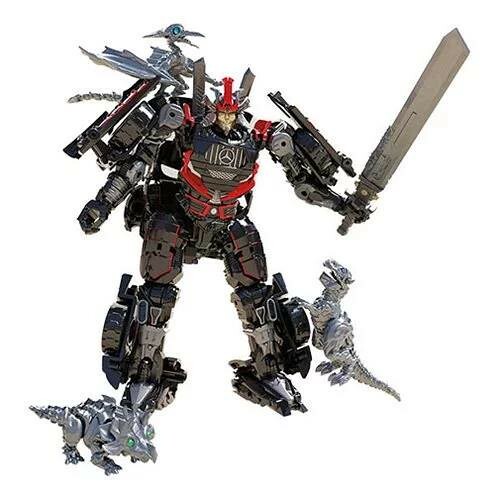 Official images of SS-36 Drift appear to have come from Entertainment Earth, who are the first to list a pre-order for it, for release in February... at a premium rate of US$27. It must be an exclusive, as that price is waaaay above the US price point of Studio series Deluxes ($20), and is actually closer to the Voyager price point ($30). The toy on display at NYCC. They have tweeted about it as being an exclusive to them. 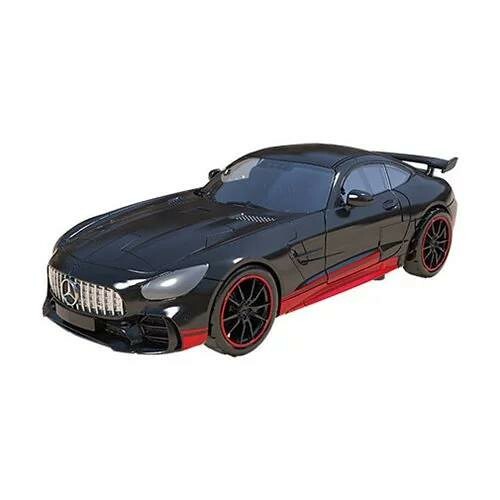 Yeah it’s the same as the deluxe Last Knight version of Drift. I was just reading about it being listed on EE with a different product code to Amazon... suggesting that there will be two. If that is true, maybe the dinobots are exclusive to this one, "justifying" their excessive markup. That's disappointing, I thought the SS was supposed to be new moulds. I would be getting this if it was a new mould, but looking at it, the bot mode does feel very familiar. I'm not dropping $70 on 3 little dinobots. as much as I love the look of them. Not only is it a reuse of an existing mold, but frankly I was hoping for a Drift that finally turned from Bot to Car AND Helicopter. , but frankly I was hoping for a Drift that finally turned from Bot to Car AND Helicopter. that would have been sweet! on a nearly completely unrelated note. I'm really disappointed that the RC helicopter Drift never got released. I was hanging out for that. I did get the Lockdown. The hobby magazine scan also reveals another Best Movie toy, with the TF4 DLX Bumblebee (which was also released in the TF5 toyline), with a new accessory. Both toys have EX in their code, so are likely to be TakaraTomyMall exclusives. It will be out in March as well, for a slightly cheaper price of 3238yen (about AU$40).